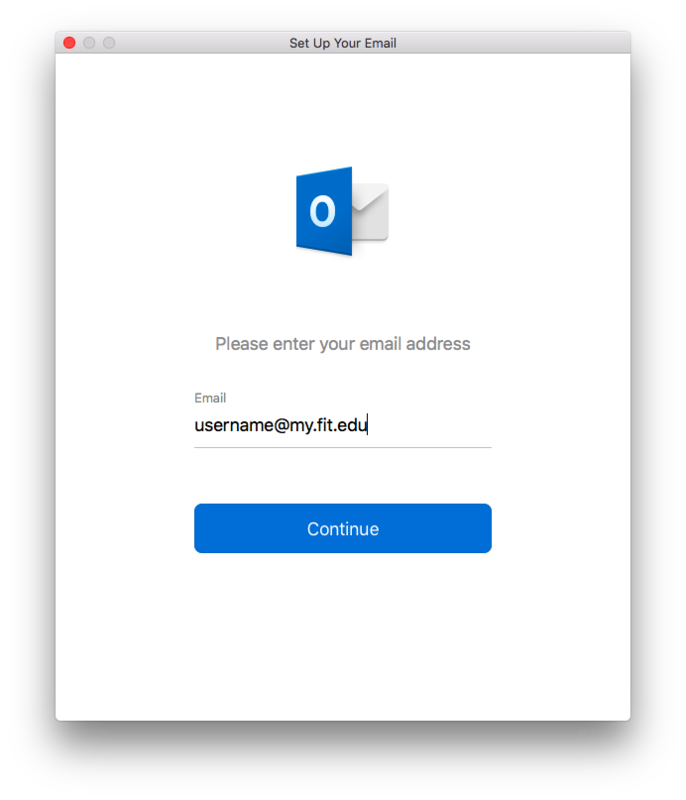 Whether you are using a Mac or a PC, you can open any web browser and go to the website http://mail.my.fit.edu/. You will be prompted to sign in with your TRACKS username and passwordas the CAS authentication page. Once you enter your TRACKS username and password, click "LOGIN." 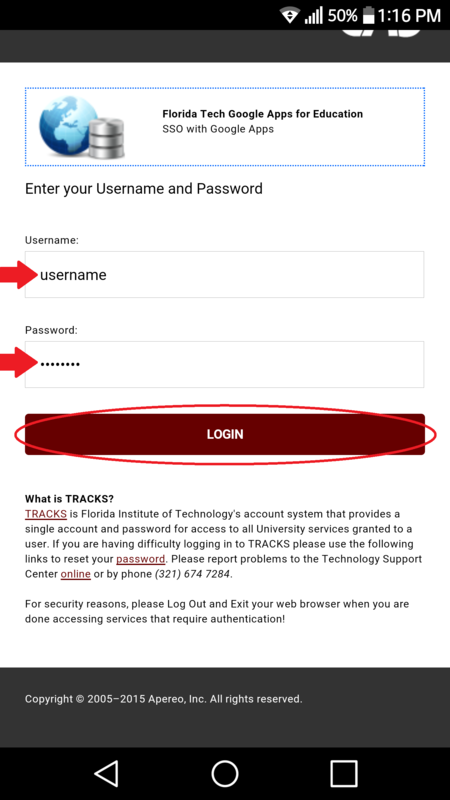 Alternatively, you can go to the website http://my.fit.edu/, enter your TRACKS username and password, then click on the "Email" icon. You now have the ability to read and send emails as you would with any other mailbox service. This should work in any internet browser such as Internet Explorer, Mozilla Firefox, Google Chrome, Safari, etc. First things first. 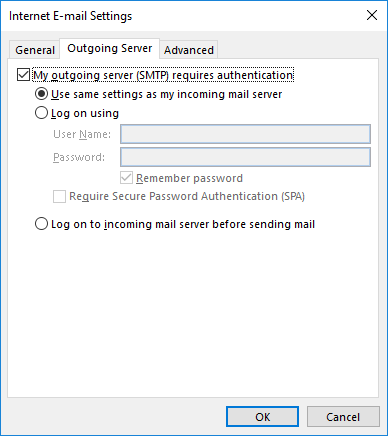 In addition to your TRACKS password, there is another password used sometimes that is specifically for configuring your email account on different email applications. This password is known as your Google Applications password. 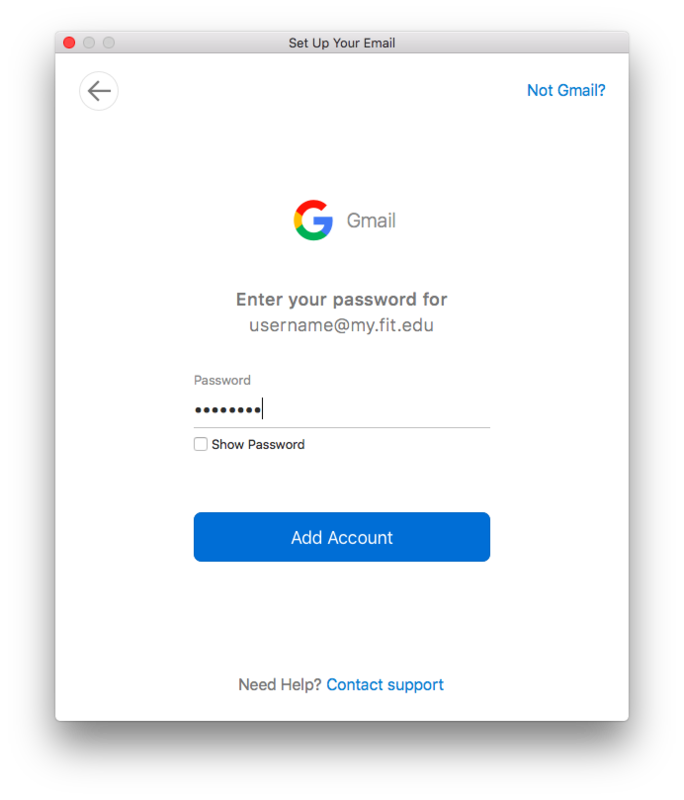 This article will specify when it is necessary to use your Google Applications password instead of TRACKS in the email setup process. From the drop-down menu, select "Google Applications." Enter a password and confirm that password, ensuring that it meets the requirements listed at the bottom of that page. 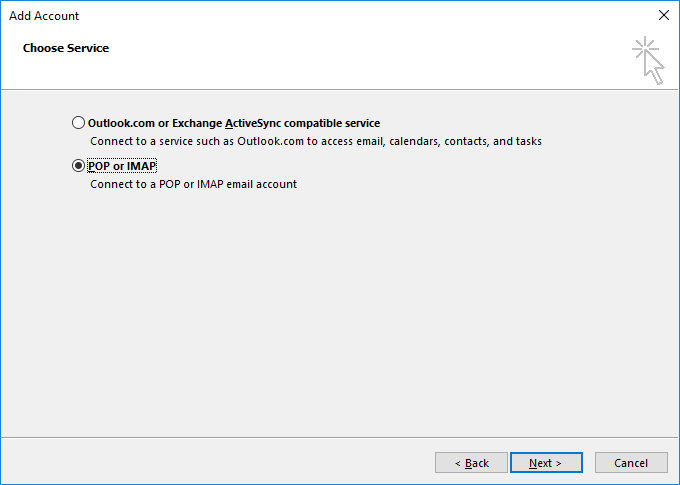 Next, you should enable IMAP or POP. 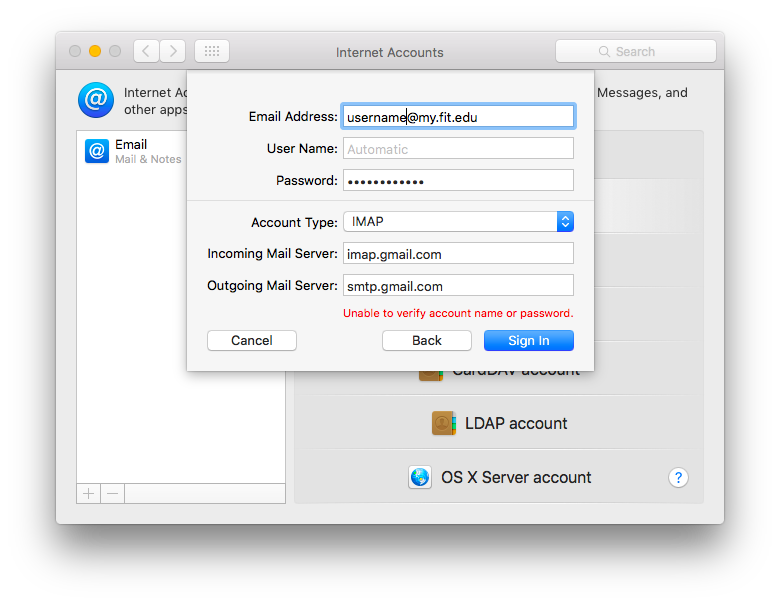 This gives you the ability to configure your mailbox in email clients such as Outlook, Mac Mail, and Thunderbird. IMAP and POP are both ways to read your Gmail messages in other email clients. IMAP can be used across multiple devices. Emails are synced in real time. POP can only be used for a single computer. Emails aren't synced in real time. Instead, they're downloaded and you decide how often you want to download new emails. 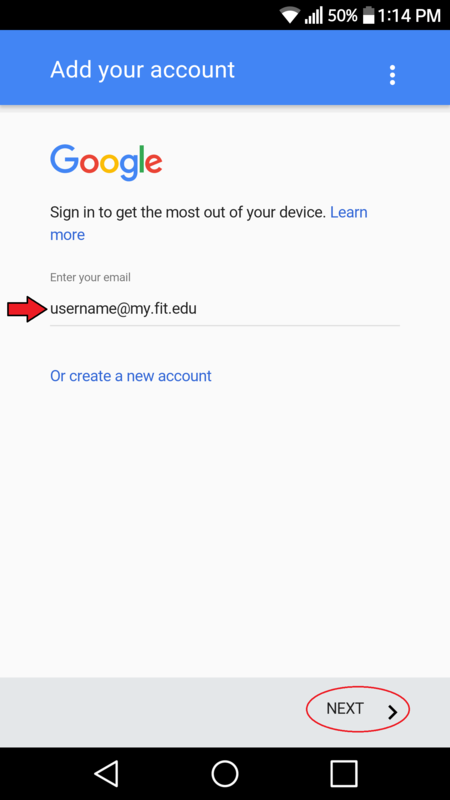 On your computer, go to the website mail.my.fit.edu. In the top right, click "Settings" . 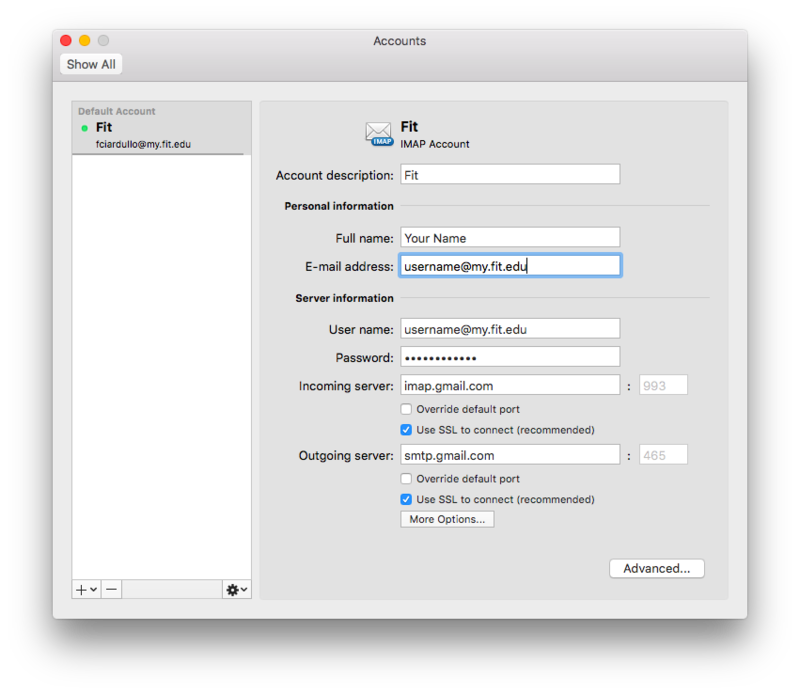 You can find advanced configuration settings for IMAP here. You can find advanced configuration settings for POP here. Finally, in order to be able to configure your email on certain applications Google has deemed "less secure," you need to enable that setting. 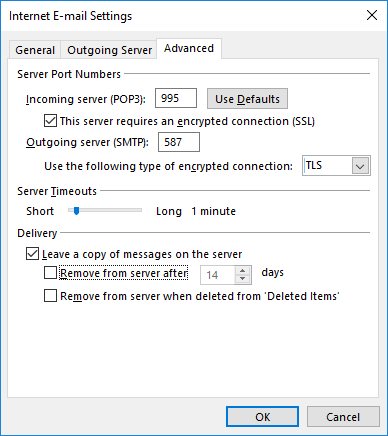 This enables the ability to configure IMAP and POP on various applications. You will notice the option is set to "OFF." Click the switch to the right of "Allow less secure apps" to turn it "ON." 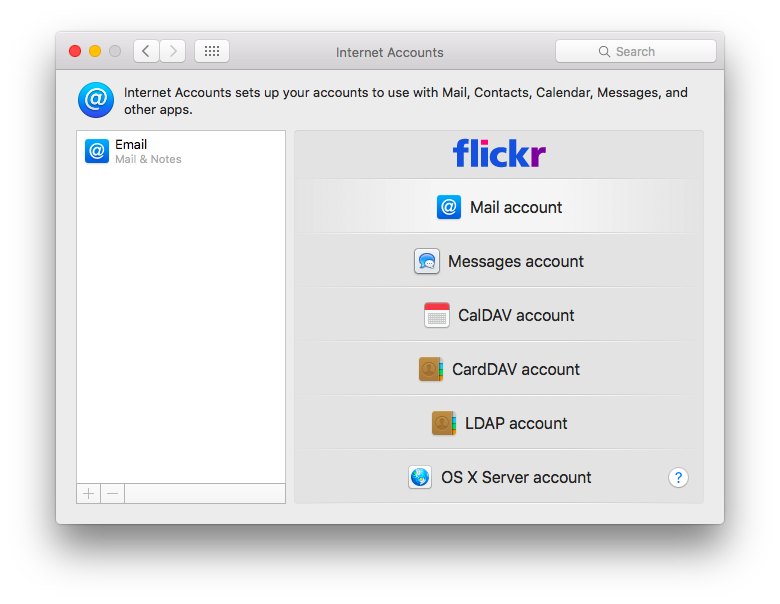 You can now configure your mailbox on other applications. 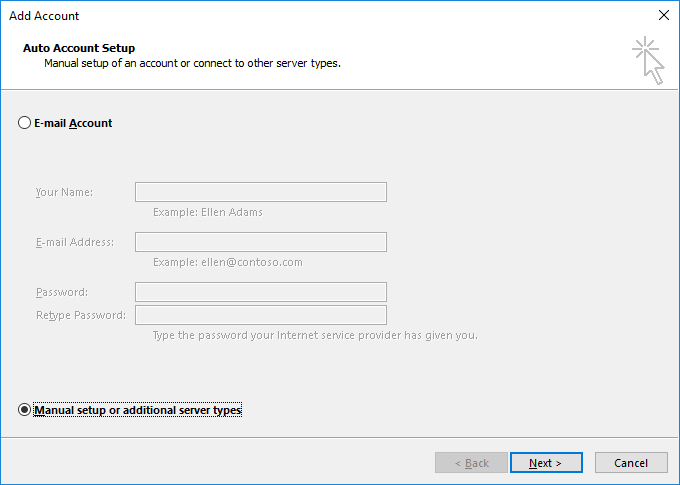 If this is your first time setting up an account in Outlook, the Account Setup window will come up automatically. 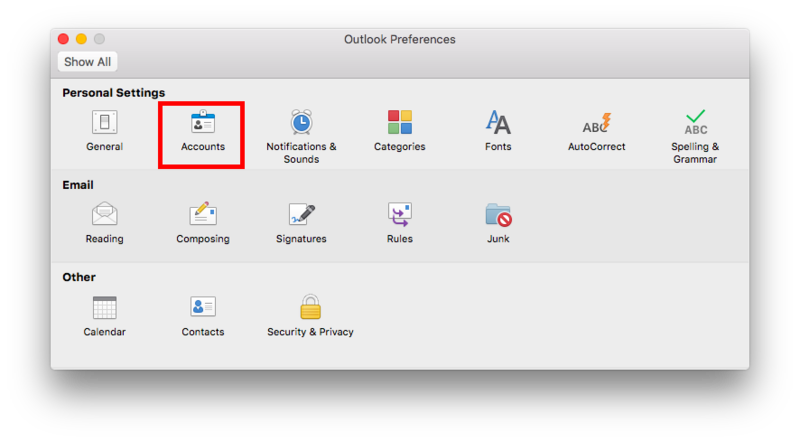 If you are already using Outlook for another account, continue to step 2. 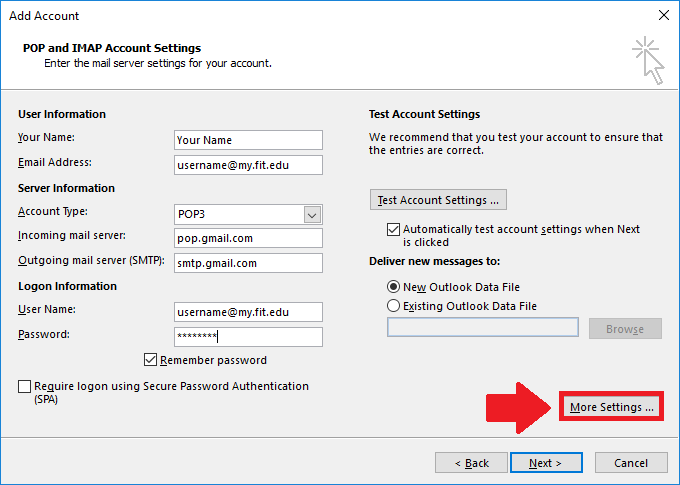 From inside Outlook, go to "File" > "Add Account"
In the Auto Account Setup window, select the "Manual setup or additional server types" radio button. 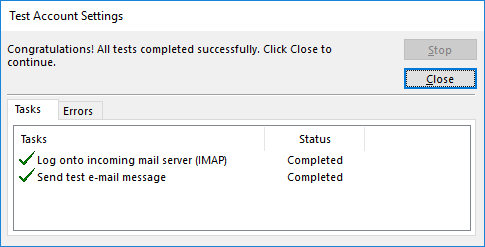 Select "POP or IMAP" and then click "Next." 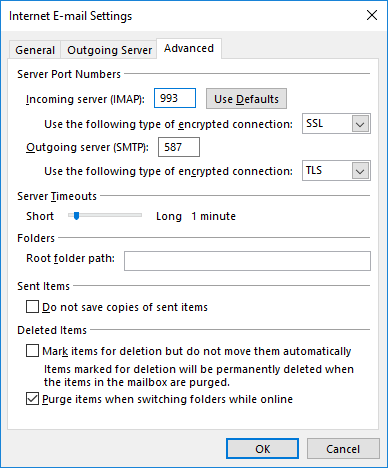 To configure IMAP, use the settings indicated below. For POP settings, continue to step 12. Note: You will need to use your Google Applications password. Click "More Settings" as shown the image shown above. Click "OK," then click "Next." Click "Close," and then click "Finish." Note: You will need to use your Google Applications password. Click "More Settings" as shown in the image above. 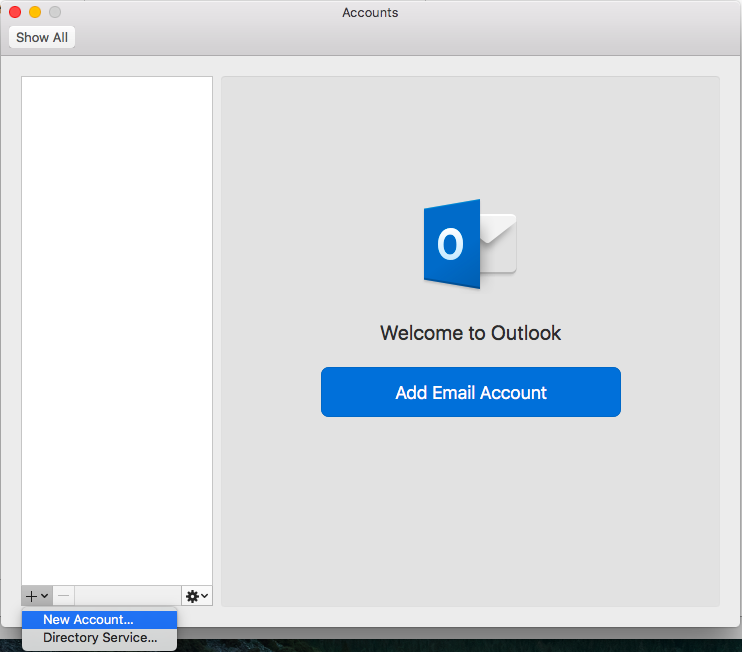 Your mailbox is now configured with Outlook. 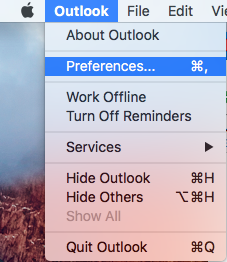 Open Outlook, and then go to "Outlook" on the menu bar and select "Preferences." In the Preferences menu, select "Accounts." Select "New account" from the drop-down menu in the bottom-left. Open the Mac Mail application, then go to the menu bar an select "Mail" > "Accounts." 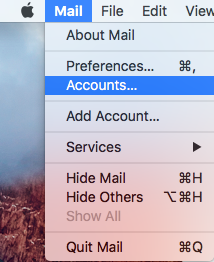 From the Accounts window, select the " + " icon in the bottom left-hand corner to add a new mailbox. 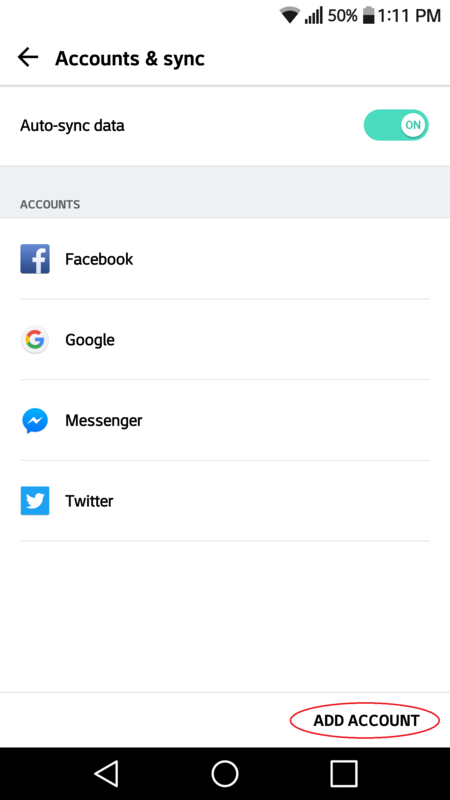 Select "Add Other Account..." as shown in the image above. 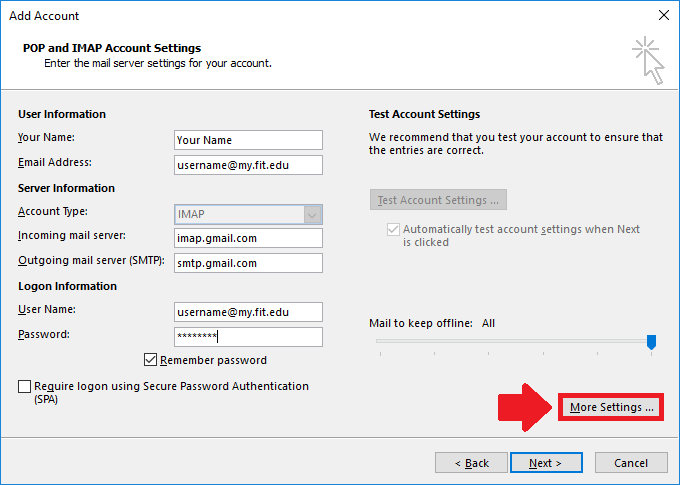 If you want to set up the mailbox as IMAP, enter the settings as indicated below. For POP, skip to step 7. 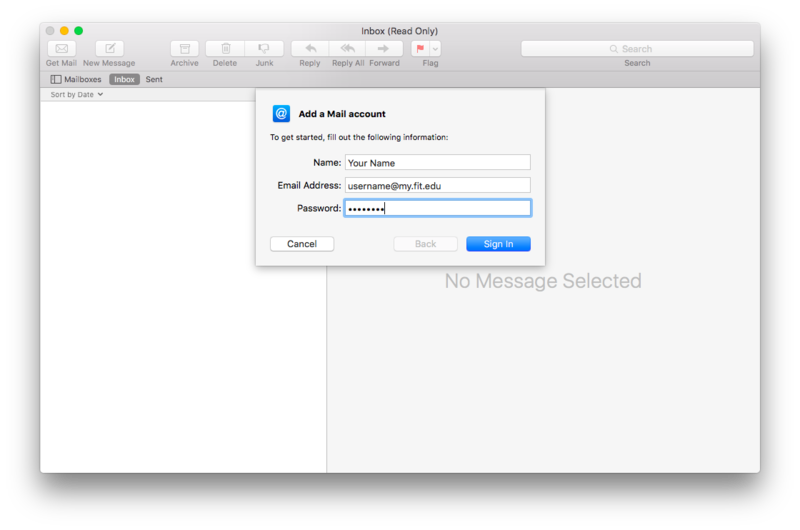 Your should now be able to use your mailbox in Mac Mail. Tap the "Settings" gear icon. Go to "Mail, Contacts, Calendars," and tap "Add Account." Enter your TRACKS username and password. Do not enter your email address. Tap on the "Gmail" option. Your mailbox should open on your Apple device. Note: Android devices can vary based on the version of Android OS installed on the device. However, the options should basically be the same. Tap the "Settings" gear icon from the app tray. 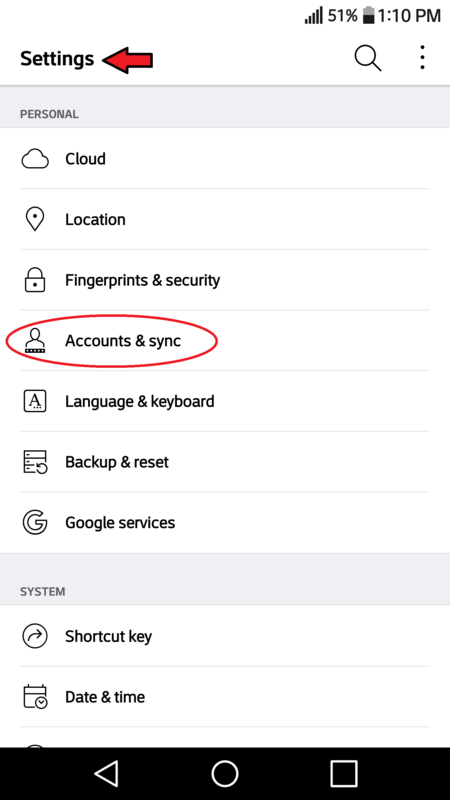 Under the "General" tab, tap "Accounts & sync." Tap the "ADD ACCOUNT" button near the bottom of the screen. If your device has security PIN, you will be prompted to enter your PIN and press "Next." Tap the "Google" option from the list. 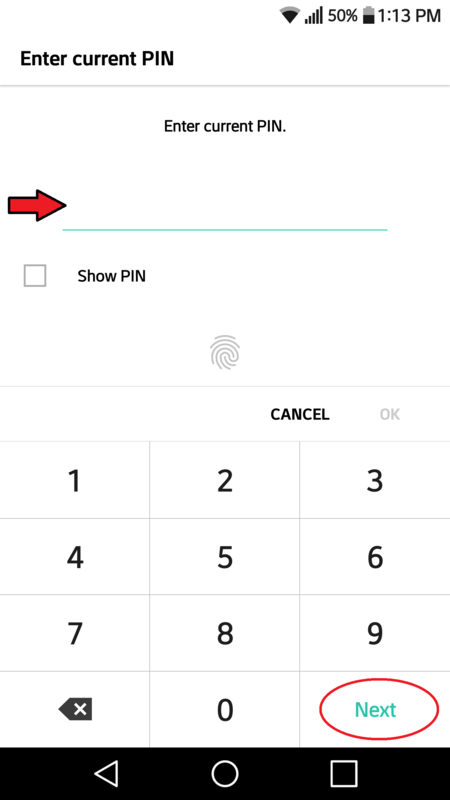 If your device has a security PIN, you may be prompted to enter your PIN again. Tap the "Accept" button to agree to the Terms of Service. 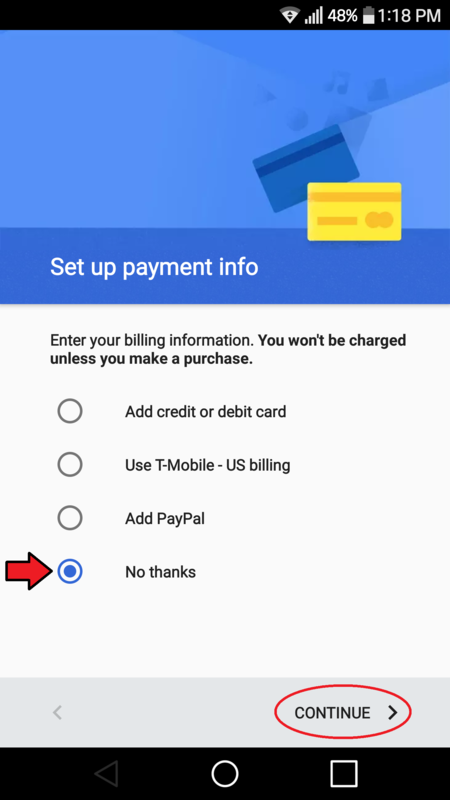 If you are prompted to set up payment information, simply tap "No thanks," then tap "CONTINUE." You should now be able to access your mailbox on your Android device. If you encounter any issues with these instructions, please contact the Technology Support Center at techsupport@fit.edu or by calling +1 (321) 674-7284. 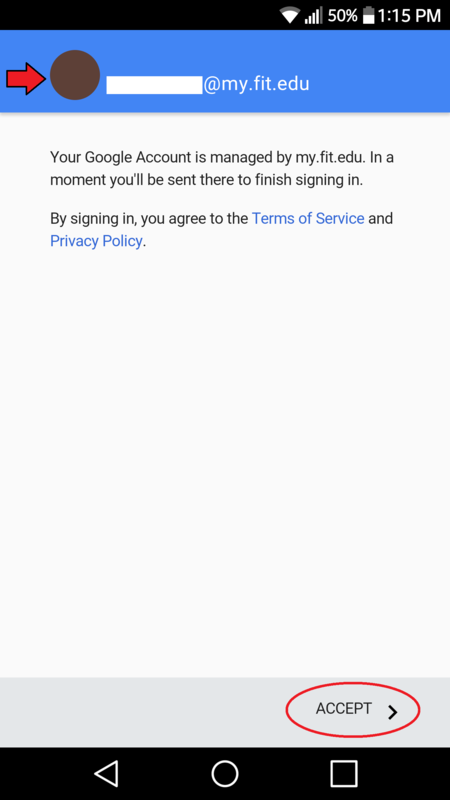 One step missing: In google account, go to your account > Sign-In & Security. 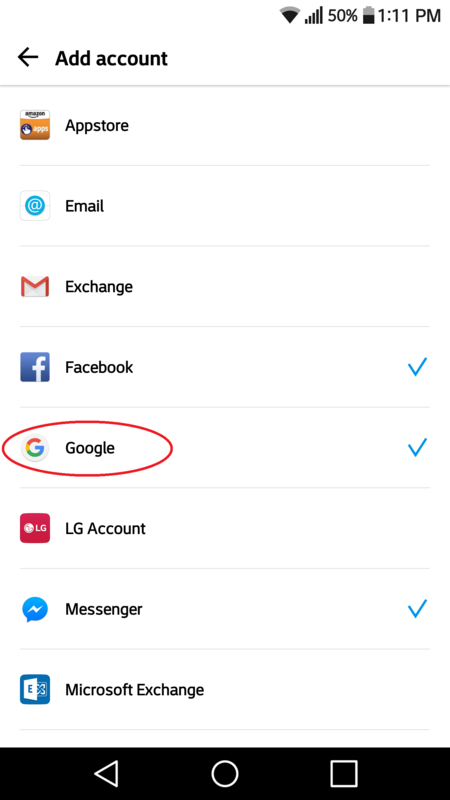 Turn … show moreon "Allow less secure apps"
Can I use the Google Apps desktop features?